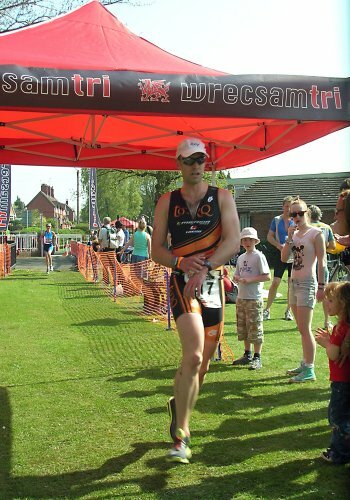 TORQ athletes Dave Mawhinney and myself elected to start the triathlon season off, with the popular Wrecsam Triathlon club hosted Chirk sprint triathlon. 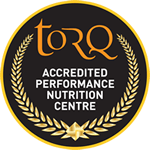 This race is one of the biggest pool based sprint triathlons in the UK and attracts a healthy number of top triathlete’s. This is how we got on. Dave was off before me in his wave start. He comfortably completed the swim and then got on his Merida and proceeded to take time out of his competitors. After racking his bike he then proceeded to run more people down to finish in a time of 1.05.15. Winning his age group by some margin and also good enough to place 14 overall. 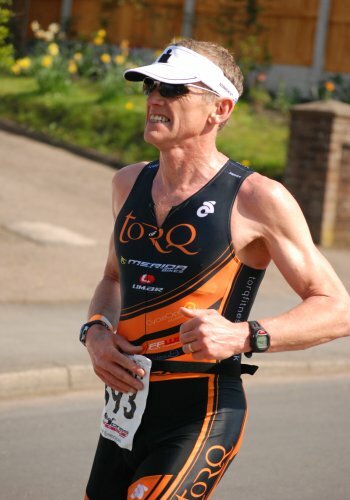 Dave said he was very satisfied with his first triathlon of the season and is looking forward to building towards Ironman UK in attempt to win his age group for a 3rd year in a row. I was next up in the penultimate wave; unfortunately 2 people had dropped out, so my swim wave only contained the two of us; not the best for swimming pacing. I must have paced relatively well as I had the 4th fastest swim split of the day! Running out the pool, I got to my transition spot and pulled on my aero helmet (much easier than normal thanks to the flexible sides of the Limar aero lid), then ran with the bike out of transition and into a flying jump onto the bike. With a bit momentum, I quickly got my Lake tri shoes on, all in the space of a couple of hundred metres. Once in position I got on with the task in hand, making the most of my biking ability. I started passing the previous wave before the turn around; all except one athlete who I couldn’t catch (always next year!). I managed to maintain my 4th fastest split. After racking my bike at the end of the ride, I then set off on the run. The course takes you straight up hill within 10 metres of leaving transition and continues to be undulating for the entire run. The end result was 5th overall in 1.01.23, a new personal best for the course; with 3 people within in a minute of 3rd spot. Chris Standidge of TriCentral/Zoot edged out Paul Hawkins to take the win in an impressive time of 57.32, both of whom were the only two athletes to complete the race in sub 60mins.